Blog posts tagged "Yerba Mate"
This is our second post of a series that shares some of the most beneficial and interesting elements of food cultures from different countries around the world. Learn health lessons from international cuisines to enrich your health and wellbeing. For this post our focus is China. Use chopsticks Much like the Japanese, Chinese traditionally eat with chopsticks, which can help slow down eating speed. The benefits of this have been observed in a study by The American Journal of Clinic Nutrition. Research on eating rates demonstrated that those eating faster ate more than those eating slower and that "up to three and a half hours after the meal, there was no difference in hunger between those eating speedy or slow." If you're looking to cut calories without being hungry, eating slower may help. This may assist those seeking to maintain a healthy weight and this is crucial to reducing risk of cancer, given that obesity and overweight are linked to the increased risk of various cancers. A Japanese study also supports this; revealing that people that eat faster increase the likelihood for cardiovascular disease. Using chopsticks is only one way to slow down your eating. Other strategies include chewing slower and conversing between bites. Use garlic in cooking Rich in allicin, garlic is a common ingredient in Chinese cuisine and is also used for medicinal purposes. Allicin contains antibacterial and antioxidant properties and can assist in maintaining healthy blood sugar levels and preventing blood clots. Drink Green Tea Rich in antioxidants, green tea is a common Chinese beverage that counteracts cell damage as you age. More powerful than vitamins C and E, catechins in green tea are capable of halting oxidative damage to cells. According to a study of over 40,000 Japanese adults, participants that drank more than five cups of green tea per day reduced their risk of death from a heart attack or stroke by 26 per cent and lowered their risk of death from all causes by 16 per cent, compared to people who drank less than one cup of green tea per day. Clinical trails revealed that green tea substantially lowered LDL cholesterol and triglyceride levels. 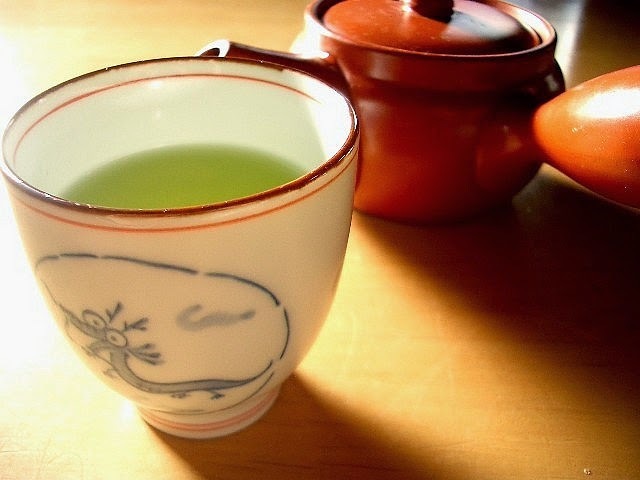 Green tea is high in flavanoids, which are essentially plant-derived compounds that are antioxidants. Zebra Organics offers yerba mate, a tea that originates from Argentina, which contains nearly twice that amount of antioxidants than green tea. Harvard Medical School advises on drinking three cups of green tea per day and allowing it to steep for three to five minutes. Drinking freshly brewed tea brings out its catechins and and other flavonoids. Bottled teas will contain less of these beneficial compounds. Minimize Cooking of Vegetables Traditional Chinese cooking practises include deep-frying foods, which tend to be high in calories. Many restaurants and chefs prepare fried foods using artificial oils that contain trans fats. Nutrients are heat sensitive and the longer you cook food, the more that will be destroyed by heat. Cooking on high heat for a short time or low heat for a longer amount of time can help preserve the nutrients in vegetables. Lighter cooking alternatives to deep-frying include steaming and stir-frying. Avoid MSGMSG is a common ingredient in cooking in villages in northern and southern China and it has been linked to numerous negative health effects, including headaches and numbness in certain people. Flavour enhancer and food additive Monosodium Glutamate may increase likelihood of becoming overweight, according to a 2008 study in the journal Obesity. Although the research lacks a clear cause and effect, lead author Dr. Ka He told the New York Times that the question is whether it is healthy. He explains, "MSG is not toxic" and "this study is a warning that we should be cautious." If you enjoyed this post, you may also enjoy learning about how the Japanese culture can enrich your health and wellbeing. Tea, is a healthy ritual beverage enjoyed by people around the world. Next to water tea is the most widely consumed beverage. At Zebra Organics we love tea and we love the varieties available, from herbal to caffeinated, we carry a select range of fine teas. 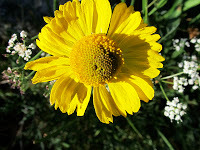 Eco Teas Yerba Mate, our most popular tea comes from Argentina. 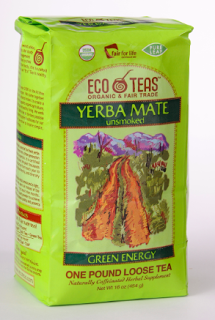 Yerba Mate is a member of the holly family and when brewed produces a green, earthy tasting stimulating beverage. Mate is rich in vitamins and minerals and unlike coffee mate produces a clean jitter free lift and nurtures your body at the same time. Mate is a wonderful tea to use to help increase metabolism and burn fat, this makes it a great addition to any weight lose program. Mate does contain caffeine at half the rate of coffee per cup. 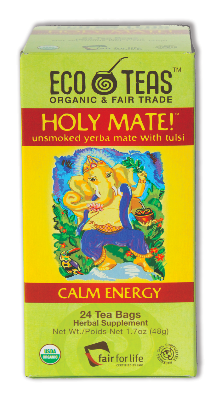 We are also pleased to offer you Eco Teas newest product, "Holy Mate" a combination of the revered Indian herb tulsi with yerba mate. This combination supports balanced energy and a clear mind. Tulsi is highly revered in India for its uplifting effect on the mind and spirit. This tea blend will support you both physically and mentally in all you have to achieve in your day. Need a break from caffeine take a trip to South Africa to the home of Rooibos, an herb in from the pea family. When brewed as a tea it provides the body with abundant antioxidants and soothes the the nerves. Rooibos is traditional beverage in South Africa, it is known for its hydrating and calming effects especially on the stomach, for this reason it is good for children.